Designing a building is an exciting thing. However, to do so it will require certain legal approvals from governing jurisdictions before a permit to build can be issued. Depending on the project there are many approvals that apply. This pre-phase of a project can be very cumbersome, frustrating, and expensive for clients, especially if not done the correct way. Architects are aware of all various approval processes and can help determine when or if they affect a particular project. They guide clients through these procedures by preparing the proper documentation, representing the client's project at public review hearings, and educate the client on the permitting process and fees making a stressful process much quicker and efficient. Contractors typically do not have this skill. They may be knowledgeable on building code, but are often unaware of the many other restrictions that will apply to a project. Oversight of these restrictions significantly slow down the progress of a project and even prevent it from moving forward at all. The cost to the client to fix compliance issues could easily be in the thousands and result in more convoluted legal paperwork. It is important to get this right the first time. The most valuable asset architects bring to any design project is the ability to craft buildings that offer unique experiences. Architectural training consists of a comprehensive study of buildings and cities throughout history. They study hundreds of ideas and concepts that have been developed and perfected over the course of time. From ancient to modern architecture, architect's dissect the core concepts, master them, and add them to their repertoire to replicate and progress in their own architecture. The understand how to organize and sequence space to evoke certain feelings and moods. The understand natural light and how to manipulate it to create spaces. The understand matters of style, scale, visual composition and proportion. Yes, ‘brick and mortar’ is the medium used to physically make a building. But it’s the creative relationships between these physical components that make the structure unique, influential, and even sentimental. Architecture is unlike any other art form, in that to be good, it must be both functional and memorable for people. This is not to say that builders do not care how people experience their spaces. Most do and some don’t. But many contractors are not trained to create highly nuanced and memorable spatial experiences in buildings and cities. Contractors build. Their chief concern is with construction and not spatial experience. Contractor's are specialists. But even construction is not simply about the materials used, it’s how they’re used. And it’s not about the spaces made, it’s about how people experience them. Architects have the creative mind and ability to create these enjoyable spatial moments. Architects visualize buildings as a holistic system consisting of many parts. They are a rare mix of artisan and scientist. Popular opinion suggests that architects are only concerned with how buildings look. Not so. They are trained and educated to be familiar with every aspect of a building’s functionality. There are many systems that must be coordinated in order for a building to function properly: Electrical, HVAC (Heating Ventilation and Cooling), plumbing, and structural systems to name a few. Architects allocate adequate space to each system and ensure their proper placement, resolving any conflicts that arise between them. An example of this is running ventilation ductwork in a ceiling. Each duct must comply with the mechanical code, which serves as the basis of design for sizing the duct. The duct is positioned in the ceiling. But its location must also be coordinated with other ducts, ceiling structure, plumbing pipes, thermal insulation, lighting, and finishes, all which require space. Finally, this assembly must meet building code requirements and the experiential intent of the overall design. Many contractors would see the installation of an individual system as a success. An architect would judge success based on the installation of all parts in support of the building’s visual and spatial purpose. The buildings themselves are also apart of the system that surrounds them. In every situation, urban or rural, a building will have a relationship to its context. On a farm, there are a collection of buildings - main house, barn, stable - that require certain relationships on the land. In cities and urbanized areas, there are master plans that detail an overall vision of how buildings should relate to one another. To retain the cohesiveness of this pattern, buildings must hold certain relationships with the street, adjacent buildings, sidewalks, open spaces as well as respond to an existing aesthetic character. Again, it is within the architect’s job and ability to determine how buildings - pieces of a whole - fit properly in the larger system. Architectural services are too often seen as a cost rather than an investment. However, architects can save their clients enormous amounts of time and thousands of dollars throughout a project. There are a lot parts and pieces that make even the smallest of buildings. Spending the money on an expereinced designer from the start can save you thousands of dollars during construction and throughout the life of the building. If given the proper amount of time to design a building, architects can craft a concise, complete, and well-thought out construction document set from which the project can be built from. From an upfront cost standpoint, this ‘extra’ time will certainly cost more than a hurried project. But from a life cycle stance, reducing an architect's fees by demanding unreasonable project schedules, will 99% of the time never save any money.What it will produce is an extremely lowered quality of drawings & documents, and inevitably increase the overall cost of the project substantially. 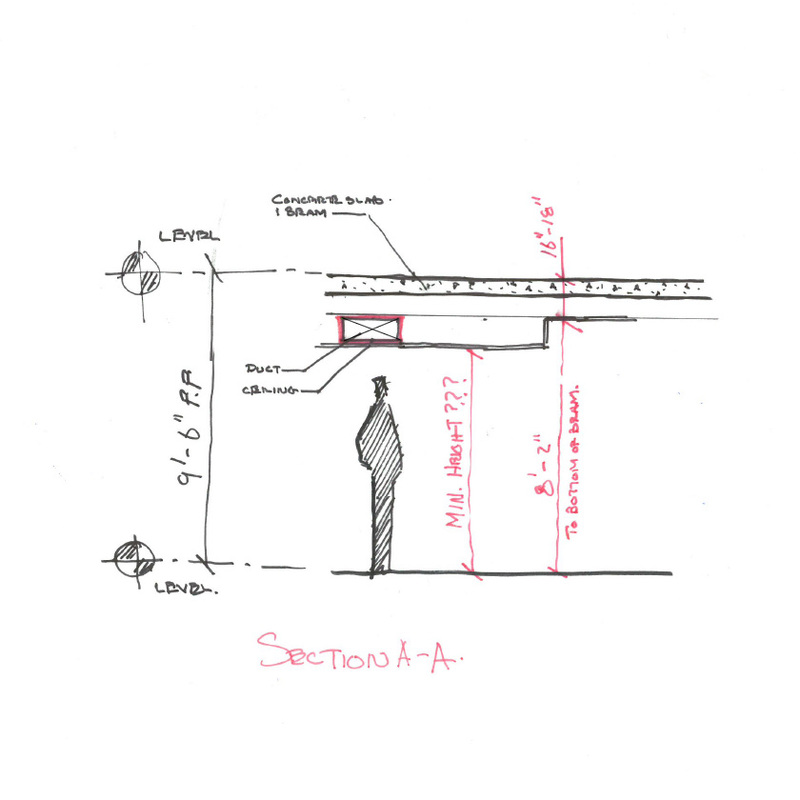 Lower quality drawings and specifications will have details that are not completely thought out or missing. They will have building system coordination issues as well as a tremendous amount of ambiguity. Uncertainty in an architect's drawings will provoke builders and subcontractors to submit very high bid estimates to compensate for the confusion and unresolved issues. These ambiguities will eventually need to be resolved during the construction phase. Addressing an abundance of questions during this phase will seriously slow down construction and add even more cost to the project. In the end, the client will pay substantial amounts of additional money to the builder and architect, for issues that should have been resolved during the design phases. So what’s the difference between a $15,000 set of drawings and $30,000 set? Tens of thousands of dollars in additional construction costs, prolonged project schedules, unnecessary paperwork, threats of legal action, a 'crappier' finished project, and a ton of ‘brain-damage”. The value of an architect is an investment, not a cost. Good architects are worth their fees. They will produce high quality drawings free of excessive ambiguity and exercise a high competence in constructibility procedures. Spending the money on an expereinced architect can prevent ugly details and labor inefficiencies like this poorly installed soilder brick course over an opening. For instance, the very slender pieces of brick above the slanted ones each had to be individually cut which translates to higher labor costs. Not to mention, it just doesn't look good. This could have easily been prevented with a properly dimensioned opening in the wall. Once the documents required to build a project are completed, the client enters into a contractual agreement with a builder who agrees to build it for a set price. Most clients of architectural services are not familiar with the intricacies of constructing a building. Contractors have an unfair advantage in this regard. They have the ability to deviate from the design instructions, to cut corners, to slack on craftsmanship, and to substitute specified products and materials for cheaper ones of lesser quality. This is done ‘secretly’ with the sole interest of reducing a builder’s costs, overhead, and construction time to make more profit. The client is usually left with a building of lesser quality than the one paid for. This is the source of many people’s fears when it comes to construction and renovation. Architects provide insurance and assurance to clients that their projects will be built according to the drawings, specifications, and other contractual documents. In dealings with contractors, architects are the legal agents representing the client in all matters of construction. Architects will execute certain duties like visit job sites to evaluate the progress of construction, make field notes, communicate progress to the client, resolve design issues on site, review construction submittals, control payments to the builder, and conduct a final check to insure the project is complete. Most importantly, architects insure that the project is being built the way it is was designed - a design that reflects the client’s desires, personality, and lifestyle. Buildings are huge investments. You should get exactly what you pay for. Architects bring tremendous value to every stage of making a building filling many roles along the way. But most of all they are an investment that yields financial and sentimental dividends.